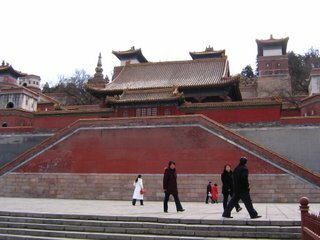 Constructed in the Jin Dynasty (1115-1234), during the succeeding reign of feudal emperors; it was extended continuously. By the time of the Qing Dynasty (1644-1911), it had become a luxurious royal garden providing royal families with rest and entertainment. Originally called 'Qingyi Garden' (Garden of Clear Ripples), it was know as one of the famous 'three hills and five gardens' (Longevity Hill, Jade Spring Mountain, and Fragrant Hill; Garden of Clear Ripples, Garden of Everlasting Spring, Garden of Perfection and Brightness, Garden of Tranquility and Brightness, and Garden of Tranquility and Pleasure). Like most of the gardens of Beijing, it could not elude the rampages of the Anglo-French allied force and was destroyed by fire. In 1888, Empress Dowager Cixi embezzled navy funds to reconstruct it for her own benefit, changing its name to Summer Palace (Yiheyuan). She spent most of her later years there, dealing with state affairs and entertaining. In 1900, it suffered again, being ransacked by the Eight-Power Allied Force. After the success of the 1911 Revolution, it was opened to the public. Composed mainly of Longevity Hill and Kunming Lake, The Summer Palace occupies an area of 294 hectares (726.5 acres), three quarters of which is water. Guided by nature, artists designed the gardens exquisitely so that visitors would see marvelous views and be amazed by perfect examples of refined craftwork using the finest materials. Centered on the Tower of Buddhist Incense (Foxiangge) the Summer Palace consists of over 3,000 structures including pavilions, towers, bridges, and corridors. The Summer Palace can be divided into four parts: the court area, front-hill area, front-lake area, and rear-hill and back-lake area. Front-Hill Area: this area is the most magnificent area in the Summer Palace with the most constructions. Its layout is quite distinctive because of the central axis from the yard of Kunming Lake to the hilltop, on which important buildings are positioned including Gate of Dispelling Clouds, Hall of Dispelling Clouds, Hall of Moral Glory, Tower of Buddhist Incense, the Hall of the Sea of Wisdom, etc. Rear-Hill and Back-Lake Area: although the constructions are fewer here, it has a unique landscape, with dense green trees, and winding paths. Visitors can feel a rare tranquility, and elegance. This area includes scenic spots such as Kunming Lake and Back Lake , which presents a tranquil beauty, Garden of Harmonious Interest , built by imitating the layout of Southern China's classical gardens, and Suzhou Market Street, endowed with a strong flavor of the water town Suzhou. 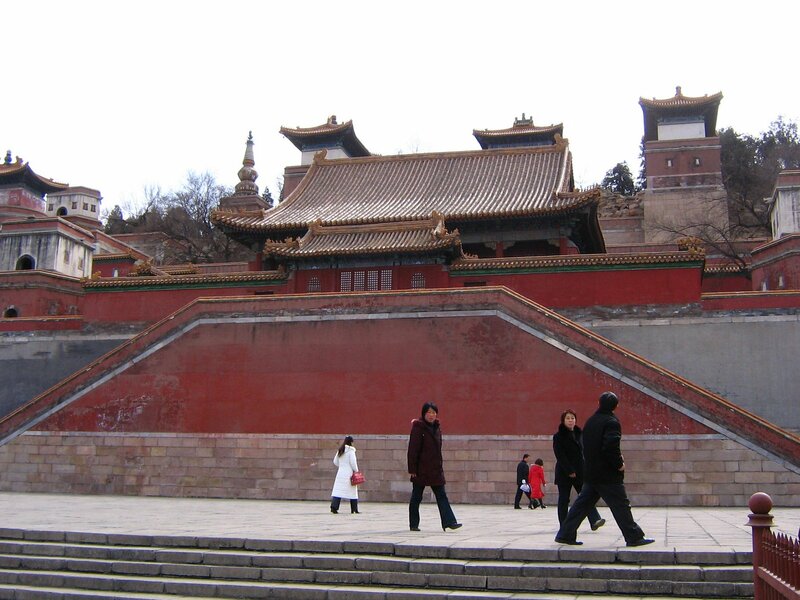 Court Area: this is where Empress Dowager Cixi and Emperor Guangxu met officials, conducted state affairs and rested. Entering the East Palace Gate, visitors may see the main palace buildings: the Hall of Benevolence and Longevity served as the office of the Emperor, the Hall of Jade Ripples where Guangxu lived, the Hall of Joyful Longevity, Cixi's residence, the Garden of Virtue and Harmony where Cixi was entertained, Yiyun House , where once lived the Empress Longyu, and Long Gallery, which measures the longest in Chinese gardens. Front Lake Area: covering a larger part of the Summer Palace, opens up the vista of the lake. A breeze fluttering, waves gleam and willows kiss the ripples of the vast water. In this comfortable area there are the Eastern Bank and Western Bank, Seventeen-Arch Bridge, Nanhu Island, the largest island in Summer Palace, Bronze Ox, an imposing statue beside the lake, and Marble Boat, built in western style with elaborate decorations . On the western bank float six distinct bridges amongst which the Jade-Belt Bridge is the most beautiful.